New this season and exclusive to us - Joanna Hope swimwear. 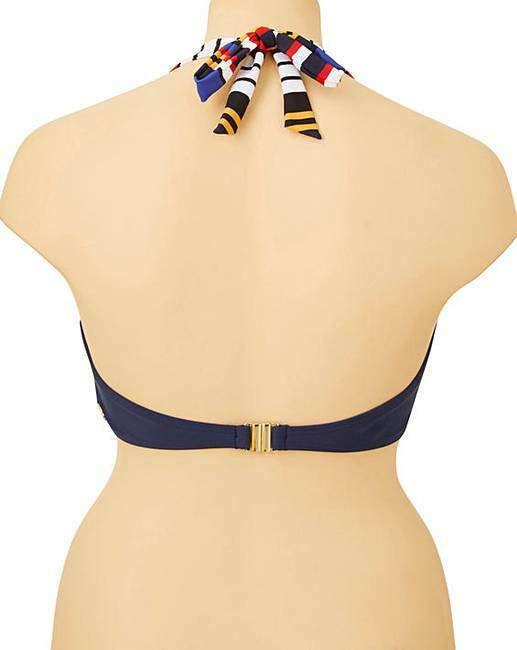 Achieve effortless style in this gorgeous Joanna Hope Regatta wrap bikini top. 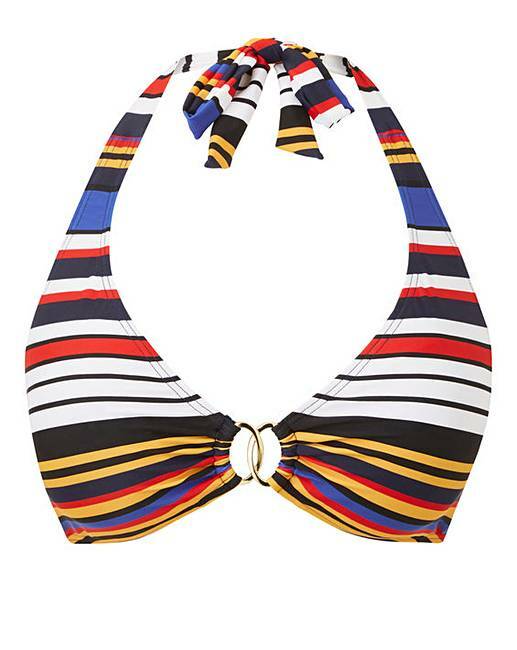 This halterneck bikini top features a lovely stripe to flatter and enhance and a beautiful ring detail to the centre front, with a clasp fastening to the back. Complete the look with the matching Joanna Hope Regatta bikini briefs.